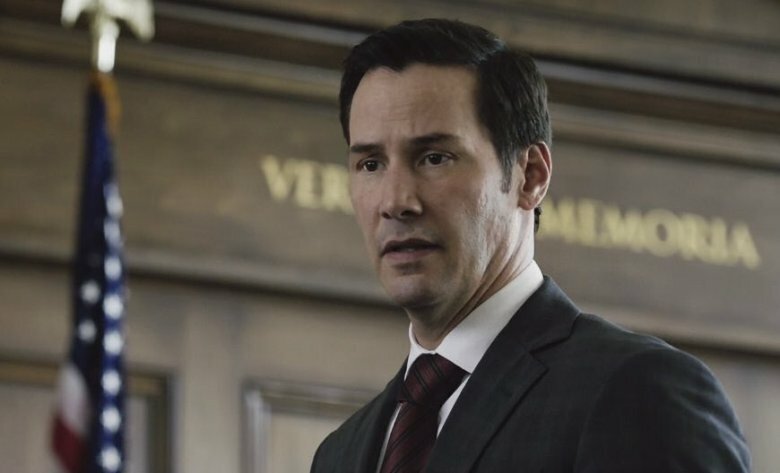 The legal thriller The Whole Truth stars Keanu Reeves (Knock Knock) and Renée Zellweger (Cold Mountain). Defense attorney Richard Ramsey (Reeves) takes on a personal case when he swears to his widowed friend, Loretta Lassiter (Zellweger), that he will keep her son Mike (Gabriel Basso, Super 8) out of prison. Charged with murdering his father, Mike initially confesses to the crime. But as the trial proceeds, chilling evidence about the kind of man that Boone Lassiter (Jim Belushi) really was comes to light. While Ramsay uses the evidence to get his client acquitted, his new colleague Janelle (Gugu Mbatha-Raw, Free State of Jones) tries to dig deeper – and begins to realize that the whole truth is something she alone can uncover. The barely released movie popped into theatres on a limited basis for a second in October, 2016, to miserable notices from the critics. It received an aggregate rating of 29% at Rotten Tomatoes based on 24 published reviews. The discs contain a commentary track featuring director Courtney Hunt.